LG's latest flagship includes five cameras to offer the widest-possible range of capture capabilities. The V40 ThinQ also features a gorgeous display, sultry materials, class-leading specs, and quick access to Google Assistant and Google Lens. 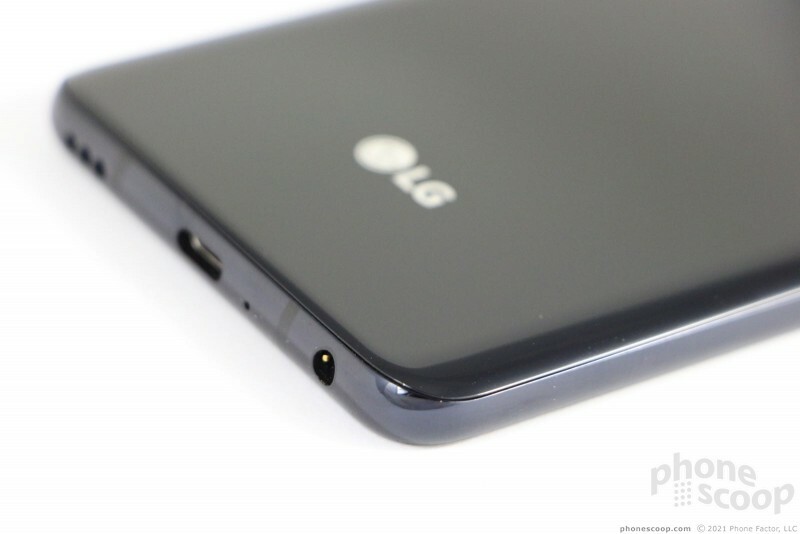 If you want to know everything about LG's latest Android phone, read Phone Scoop's in-depth review. 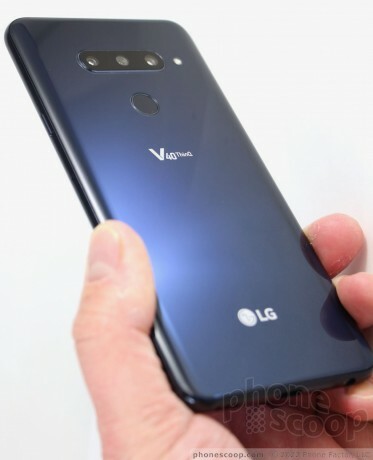 LG's flagship phone for the back half of the year is the V40 ThinQ, a device that wields five cameras in order to give picture-obsessed peeps more options. The V40 is for those who put a premium on photography, screen size, and audio quality. 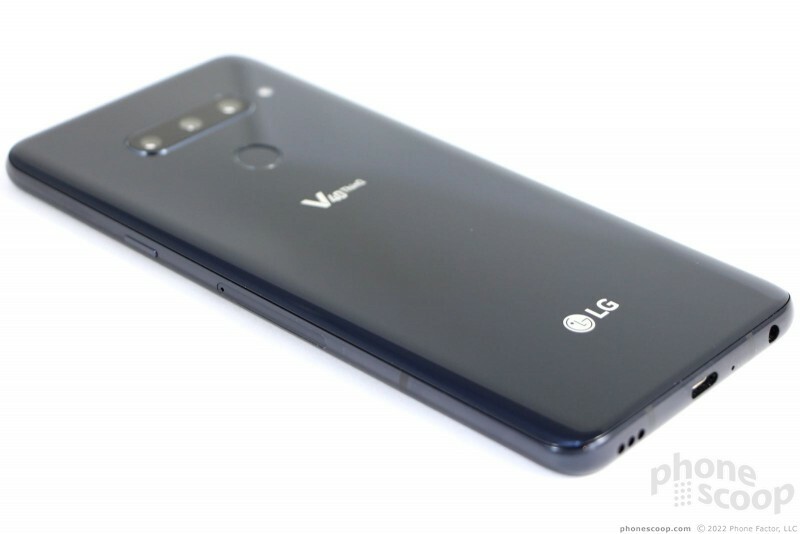 The V40 ThinQ doesn't stray from the conservative design language that LG has relied on for its most recent phones, including the G7 and V35. It's as if these two phones hooked up and the result outgrew them both. The V40 ThinQ is a large, smooth glass slate that keeps its footprint in check when compared to other phones in this class. I'd call the shape of the V40 borderline generic. It's a vanilla slab that has comfortably rounded corners and side edges, giving the phone a river rock smoothness. Like most modern flagships, the V40 is a metal-and-glass affair. Two glass panels sandwich a metal frame that forms the center of the chassis. LG says it took special care to sandblast the rear panel to give it the smoothest-possible texture while safeguarding it from scratches. It's absolutely liquidy. The curves of the glass are finely detailed. I particularly like the way the rear panel bends toward the metal frame all the way around. LG says the V40 will come in several shades, including black and a deep blue. The blue of the glass is so deep that it's hardly distinguishable from black. You'll only notice the color when it catches the sun a certain way. The frame, however, is painted black. I like this small detail. 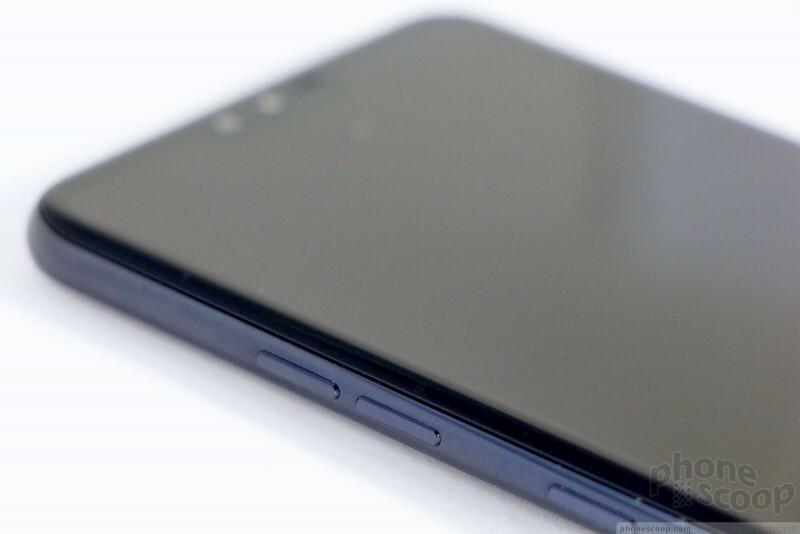 The V40 is a big phone, and yet it manages to keep a rein on the dimensions compared to the Samsung Galaxy Note9 and Apple iPhone Xs Max. It stands 6.24 inches tall, but squeaks in under the critical 3-inch-wide mark by 0.01 inches. 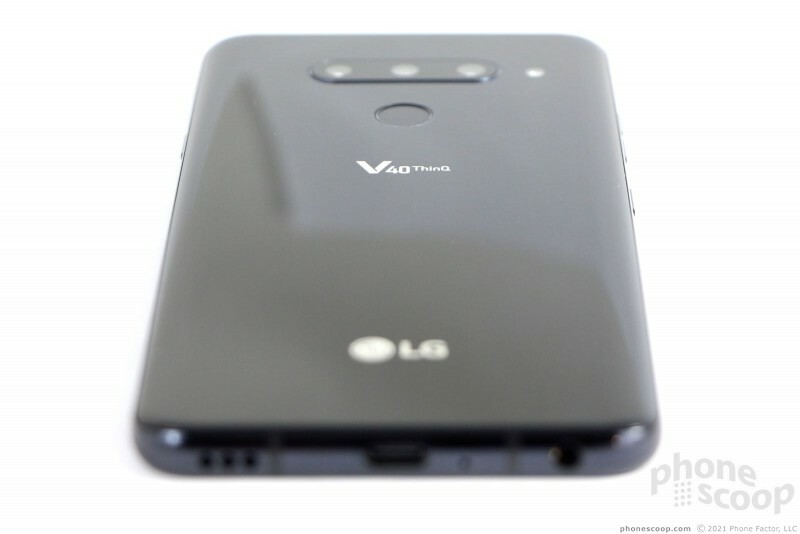 It's bigger in both dimensions when compared to the V30, is about the same height as the G7 and is wider than the G7. The V40 is shorter and narrower than the Note9 by a hair's breadth or two. Despite the large frame, the V40 still manages to feel comfortable to hold and use. I have to credit the finely rounded edges and the 7.9mm thickness, which go a long way to help hand fit. People with the smallest hands will surely find the V40 too large. Most everyone else should be able to get by. The slippery glass means the phone will glide into and out of your pockets. With two glass surfaces, the V40 is twice as likely to break when dropped. It's not a rugged device by any stretch, though the IP68 rating will keep it from succumbing to water and dirt. I can find no fault in the materials and manufacture. The glass is ultra fine and the metal frame, thin though it may be, comes across as strong and sturdy. LG has matched Apple, Samsung, and Huawei in crafting an elegant piece of hardware. Like many flagships aiming for the all-screen look, the V40 has a notch cut into the top of the massive display. 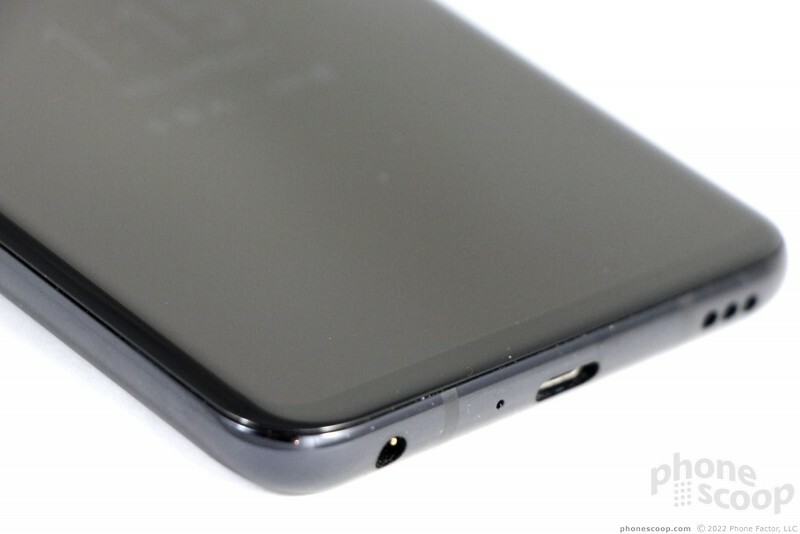 The notch hides two user-facing cameras and the earpiece speaker, which is covered with a small grille. 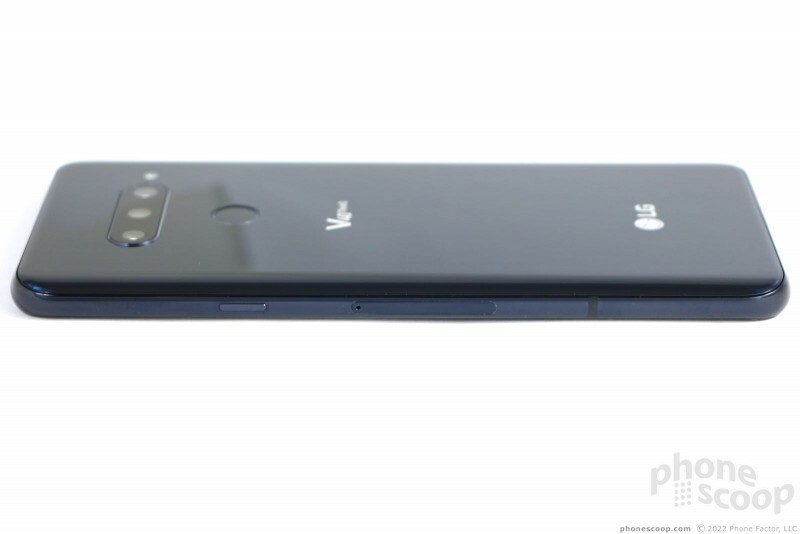 Otherwise the rest of the phone's face is screen. 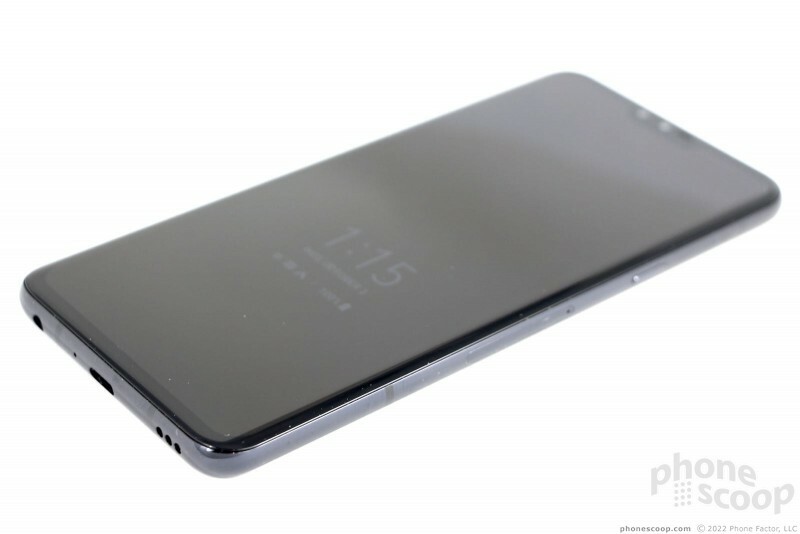 The bezels to the sides and bottom are minimal. There are no hardware controls or buttons on the front. The V40 has a clean, obsidian face. 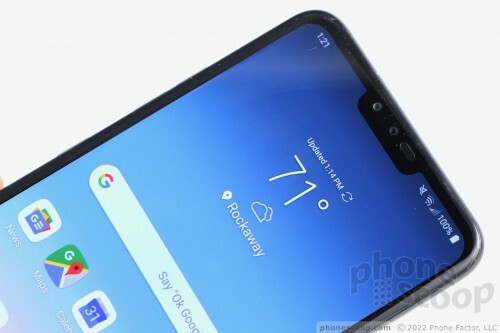 The V40's side buttons mirror those of the G7. You'll find the screen lock button on the right edge. It has a rather minimal profile and yet still delivers excellent travel and feedback. The three buttons on the left edge are more or less the same. I like that the volume toggle has been broken up into separate keys. The third key is a dedicated Google Assistant button. Press this key once to call up the Google Assistant — no matter what else you might be doing — or press it twice to open Google Lens. I'd love to know the split on how many people appreciate this button and how many find it annoying. You can disable it, but not remap it. The tray for the SIM and memory cards is buried in the right edge of the phone. You'll need a tool to eject it. The tray is a side-by-side design and accommodates one nano SIM card and one microSD expandable memory card. Headphone fans rejoice! The V40 is one of the few flagships that still includes a dedicated 3.5mm headphone jack. More importantly, the jack is powered by a quad DAC, meaning you get top-level sound from wired headphones. The jack is on the bottom, as is the USB-C port and speakerphone. Three cameras adorn the V40's rear surface, positioned in a slightly raised module that's close to the top edge. The module contains the three lenses: wide, normal, telephoto. The two-tone flash has been pushed off to the side. 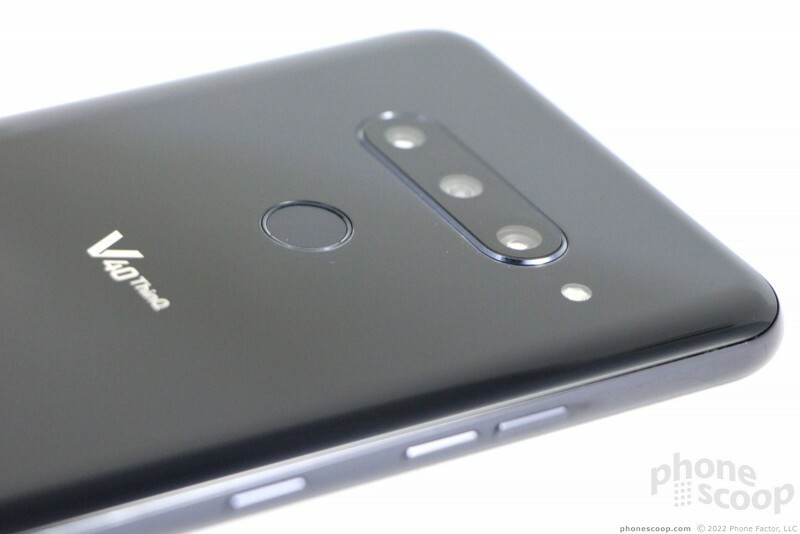 A standard fingerprint reader is beneath the camera module. It's in a good spot and is easy to find by feel. 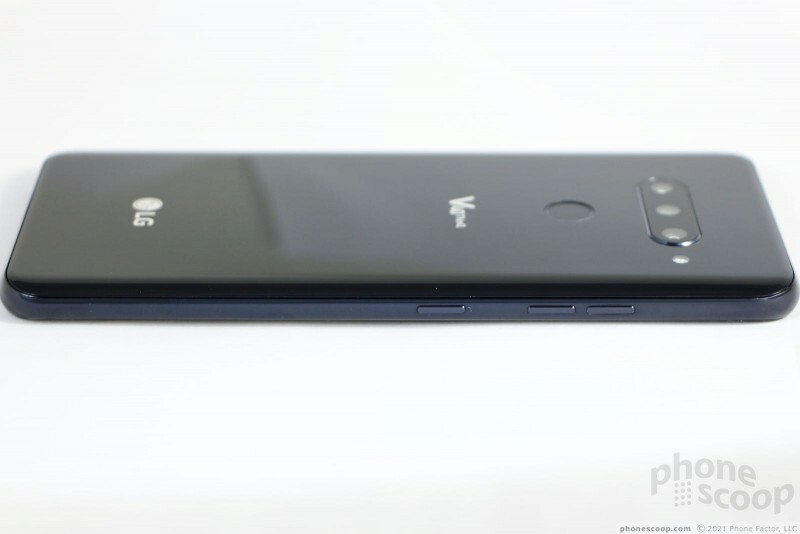 LG has crafted a fine piece of hardware in the V40 ThinQ. It may not necessarily stand out visually from the competition, but it's no slouch. The display is impressive. It measures 6.4 inches across the diagonal with quad HD+ resolution (3,120 by 1,440 pixels). The pixel density is outstanding and the screen offers silky smooth edges along text and imagery. LG opted for an AMOLED panel with support for HDR10. It's gorgeous. The high contrast ratio offers incredible blacks and eye-pleasing brights. The colors practically jump off the screen. Content that's available in HDR10 looks outstanding on the V40's screen. The display pumps out plenty of light. I was able to use the phone indoors and outdoors with no issues in visibility. Auto-brightness worked well. This flagship offers all the amenities you expect when it comes to controlling the display. You can alter the color/tone, set the nighttime/blue light filter to come on, as well as adjust resolution. LG will sell the V40 through all major U.S. carriers, as well as unlocked online. We tested an unlocked model that includes support for the LTE networks of AT&T, T-Mobile and Verizon. AT&T and T-Mobile customers will be happy to learn that bands 29/30 and 66/71 are aboard, respectively, for the best coverage and speed. On both AT&T and Verizon networks, it did really well. The phone patched through all calls on the first dial and didn't drop any while I tested it. Data speeds were very good. Browsing through media-laden social networks was smooth, streaming HD audio/video content was clean, and downloading apps was painless. The phone is a fine wireless performer. The V40 is a fine voice machine. The earpiece produces plenty of sound for calls. I was able to hear calls most places I took the phone, including subway platforms and moving cars. Clarity could be better. High volumes cause the earpiece to pop with some distortion now and again, but voices generally have a nice tone. People I spoke to through the phone said I sounded very clear. The speakerphone is loud and can take advantage of a "booster" mode to crank it into the ridiculous. The powerful sound is perfect for taking calls in noisy spaces, or spreading a call around a large conference room. Similar to the earpiece, the speakerphone will distort a bit at higher volumes. The V40 really disappoints me in that it doesn't have stereo speakers. Flagships from Apple, Samsung, and others produce a stereo effect by using the bottom-firing speaker in tandem with the earpiece when the phone is held sideways. The V40 doesn't do this; it only produces sound from the bottom speaker. That said, it can be set to crazy loud volumes and the clarity is pretty good. Still, it sort of ruins the experience if you're watching a video with cool stereo effects and the V40 can't reproduce two-channel sound. On the flip side, the 32-bit quad DAC audio is a wonder when you plug the phone into a pair of high-end headphones or speakers. The clarity, punch, and sizzle of tunes streaming through quality gear can be impressive. This is a feature meant to entice audiophiles. LG gave the V40 a battery that's technically smaller than those of competing phones in this class. 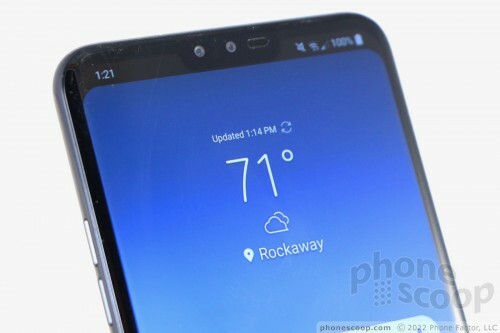 For example, the Note9 has a 4,000mAh battery. The V40's 3,300mAh might seem lacking at first, but over the course of five days of testing, I can say that this battery outperforms its meager capacity rating. LG says it took special care to tap into the processor's power-saving features in order to provide the V40 with maximum efficiency, and those efforts appear to have paid off. The phone can glide through an entire day with plenty of juice to spare come bedtime. I never ran into the slightest bit of trouble. However, should you run into trouble, LG gifted the V40 with bonus features to help manage battery life. It has a normal mode, an extended mode, and a maximum mode. The latter two can be tweaked to control how intensely they dial back performance. The V40 also allows you to fine-tune how much power individual apps are allowed to use apart from the battery saving tools. 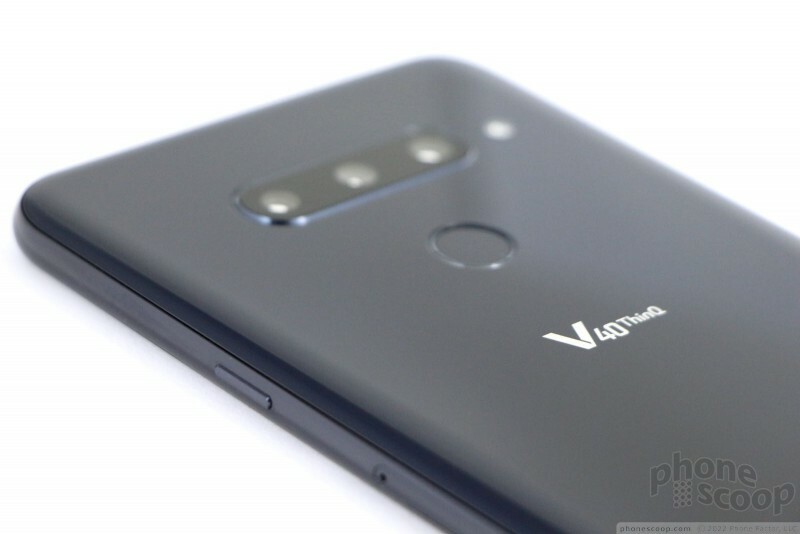 The V40 supports Quick Charge 3.0 through its USB-C port. A fast charger is included. I found the battery often jumped by 25% in just 20 minutes. 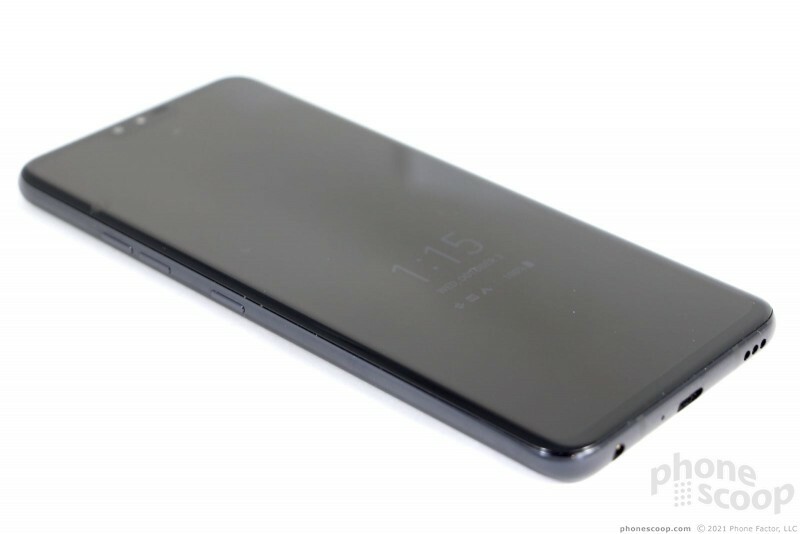 The phone also supports quick wireless charging and it is compatible with most wireless charging pads. The phone powered up rapidly when tested with several different charging pads. All the standard radios are present and accounted for. Bluetooth 5.0 ensures you can connect to headphones, speakers, your car, and PCs effortlessly. I paired the phone with a number of accessories and didn't encounter any issues. Music I streamed to my favorite pair of Bluetooth buds sounded excellent, and voice calls patched through my car were very good. The GPS system worked flawlessly. I used the phone to plan trips around NJ and NYC with a mix of driving, mass transit, and walking. It managed to pinpoint me to within 10 feet in a blink. It's a fine navigation companion. I appreciate the NFC radio's ability to help with Bluetooth accessories, which paired instantly when tapped to the NFC radio. Of course there's Google Pay for tap-and-go mobile payments. I was pleased with the WiFi radio, which helped the phone download large apps and media files rapidly. Last, there's an FM radio for you terrestrial die-hards. As long as you have a pair of wired headphones handy, you can dial in the local station of your choosing. 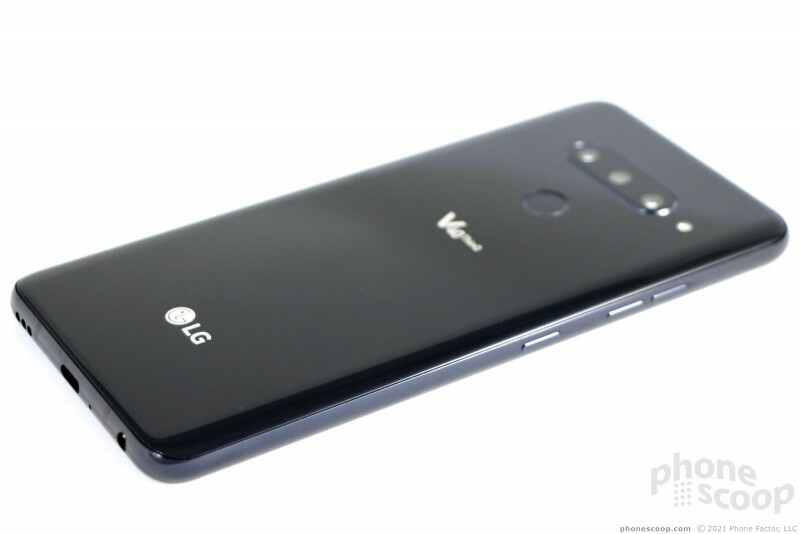 LG has revealed several aspects of its forthcoming flagship phone, the V40 ThinQ, in a promotional video shared in its home market of Korea. 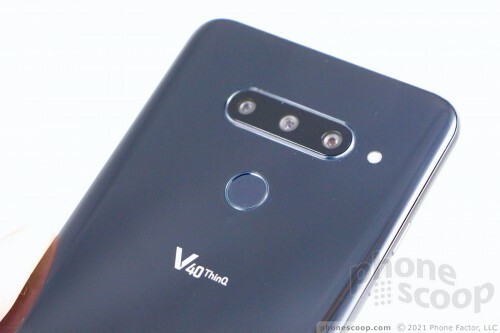 The main points revealed by the video are the V40 ThinQ's 6.4-inch screen and five-camera array.